On the previous page we provided tips for individual walking tours. 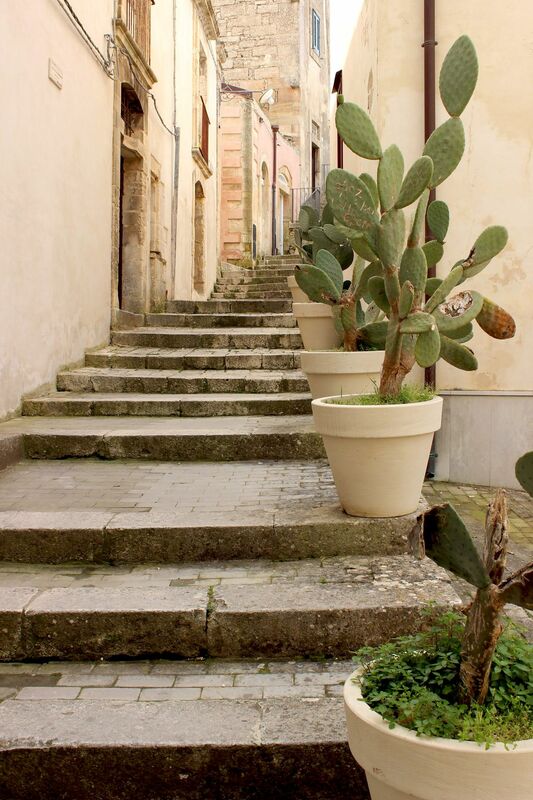 Given the limited areas of Old Towns and usually narrow streets, exploring on foot is the best solution to embrace the “intensity” of architectural and cultural richness that Sicily can offer. If you missed this part please go --> PREVIOUS page. 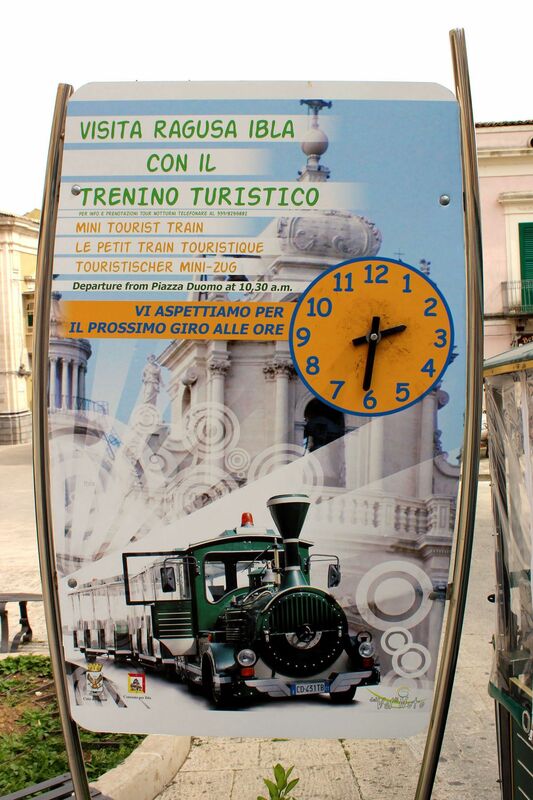 Otherwise, we continue exploring Sicilian towns, this time by sightseeing tours. You will not have enough of time to visit all places you would like to see and certainly you will miss several including some from the top of your list. So unless you plan to stay in the city for few weeks to have a comfortable margin for a “try-and-error” approach I would strongly suggest taking some form of sightseeing tour at first. The benefit is obvious: you will have a priceless opportunity to get some personal feelings about most important touristic attractions, make corrections to your original plan (hopefully you have the map with you) and then at the end of the tour you are ready to start exploring on your own. Bus / (Double-decker) sightseeing tours are some of the most popular. Usually they offer “hop-on/hop-off” flexibility. They are best for large cities where tourist attractions can be scattered all over the town. 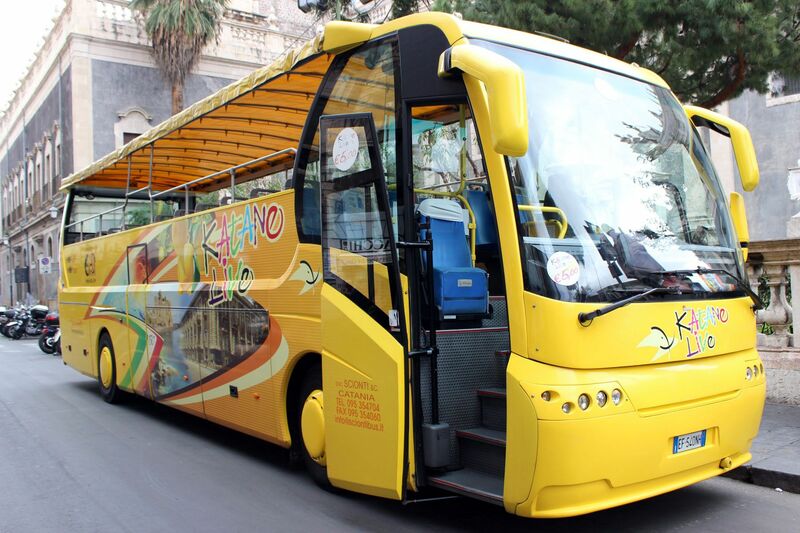 You will find bus tours in Palermo (capital) but also in Catania, Messina…. Note that most towns on the Sicilian East Coast were rebuilt in late 17th- early 18th century after ravaging earthquakes totally leveled this part of the island. As the result, cities have wider, easier to navigate streets for buses. 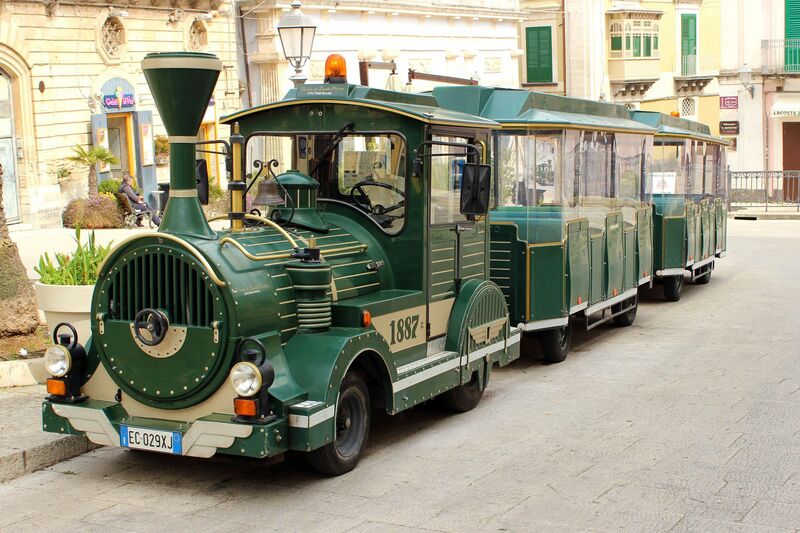 Fun-train – It offers best sightseeing option for smaller town centers, especially for old towns with narrow streets where there is not enough of room for traditional buses. Due to an “open-frame” design (no windows, no doors) they also allow for more “personal” experience during the tour. Needless to say that this is preferred option when you travel with children! 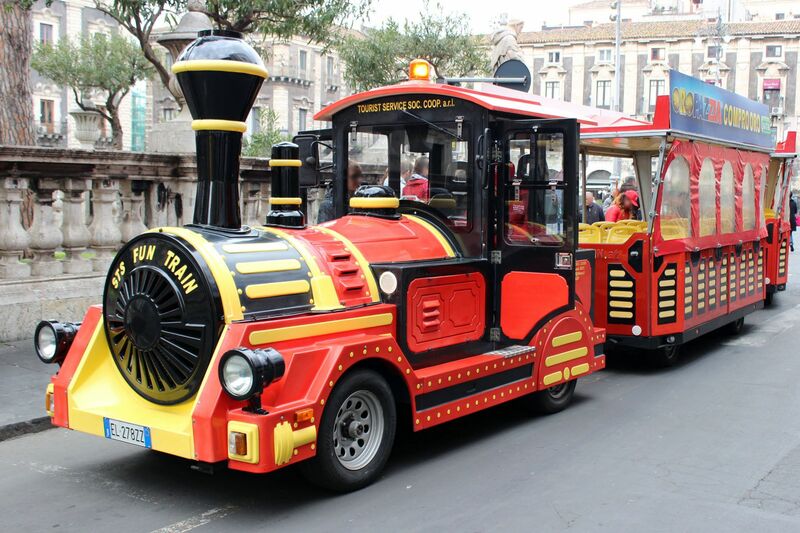 You will find Fun-Train sightseeing tours in Palermo, Catania…. but also in smaller towns like for example Ragusa-Ibla, Syracuse…..
3-wheelers – Ape Calessino is an auto-rickshaw type vehicle built on a scooter’s frame by Piaggio (Italian company famous for their legendary scooters Vespa). Amazingly, small Ape’s “Sightseeing” version provides 4 seats for tourists (three in the back and one next to the driver). 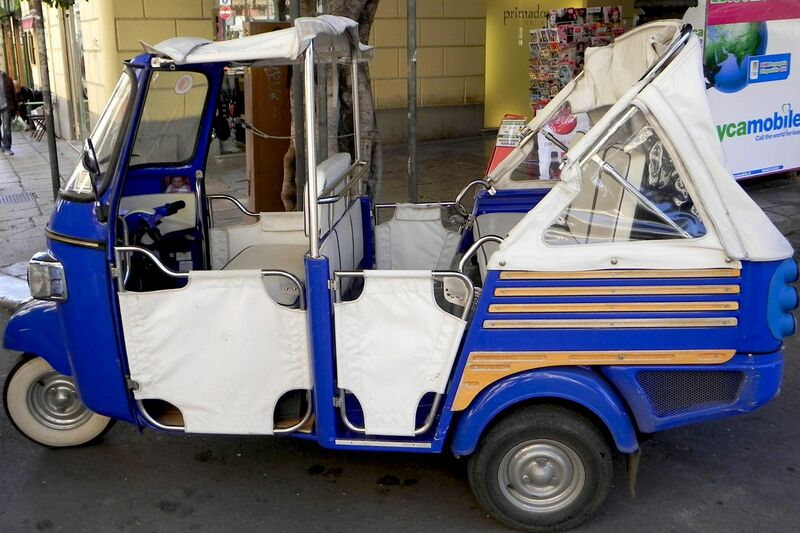 Being small, agile, moving at low speed, they are perfect for individual tours along the labyrinth of narrow, poorly maintained busy streets in old towns across Sicilian Island. Open frame design with canopy protecting from weather elements allows for “close-up and personal” experience during the tour. 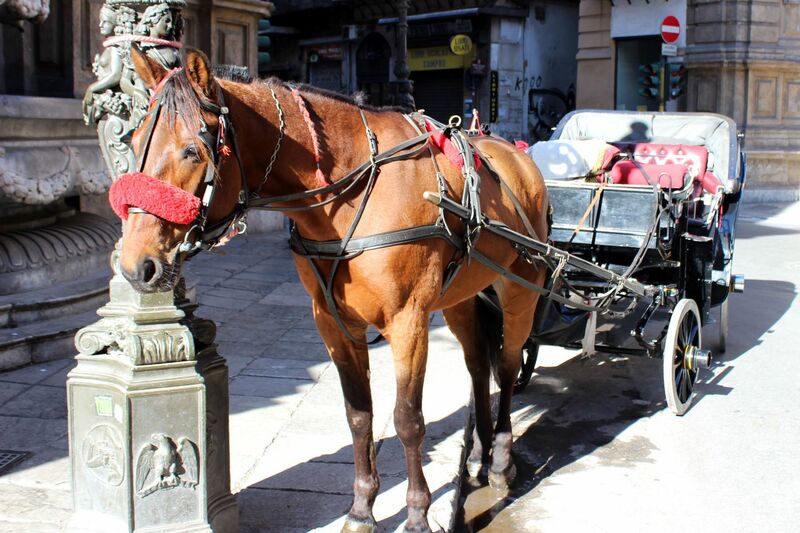 Horse Carriages – If you have more time and want to relax, it may be a good option. Unfortunately their itinerary is usually shortest compared to these offered by motorized vehicles (so it is rather the pleasure itself than real sightseeing). 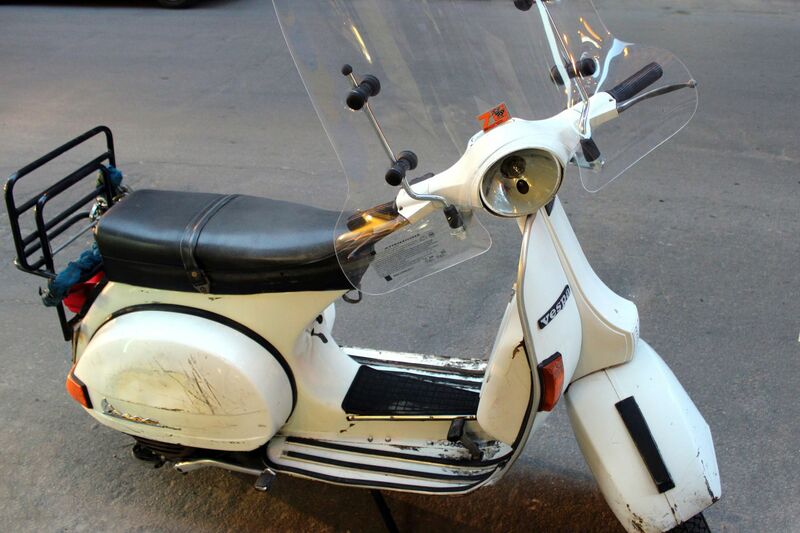 And thanks to the hordes of Vespas-likes all-over around, you cannot feel like traveling to the past…. But horse carriage has its own merits – it’s romantic, more relaxing and fun for kids….. Guided Walking Tours – Usually walking tours are the best for those interested not only in tourist attractions (architecture, museums, historical monuments etc…), but also in the life and “spirit” of the city …. Most guides have colorful stories to share with visitors. Some tours are dedicated to specific aspects of city’s life – for example famous Street Food tour in Palermo takes you through small shops and street stands to discover the “taste” of the city! And if you didn’t try street food in Palermo, then frankly, you haven’t been in this city! Bikes – It seems that bikes as a sort of public transport did not yet gain traction in Sicily. And there are reasons behind that. Most historical centers are small, quite often located on the hills, narrow streets are busy and there are no dedicated biking paths – just to name few facts. 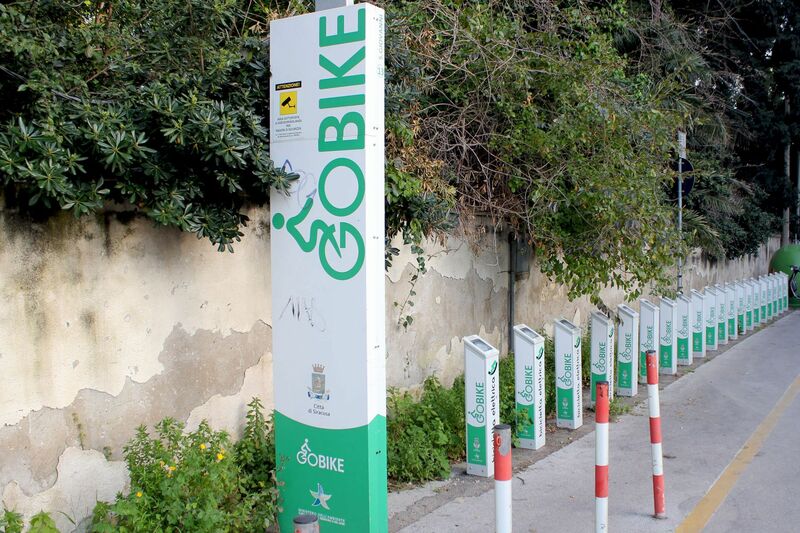 No wonder, the attempt to bring popular in other European countries bike rental service failed!